Going To America: Joshua excited! Anthony Joshua has hailed the notion of fighting in America as ‘phenomenal’ should his next fight be held Stateside. 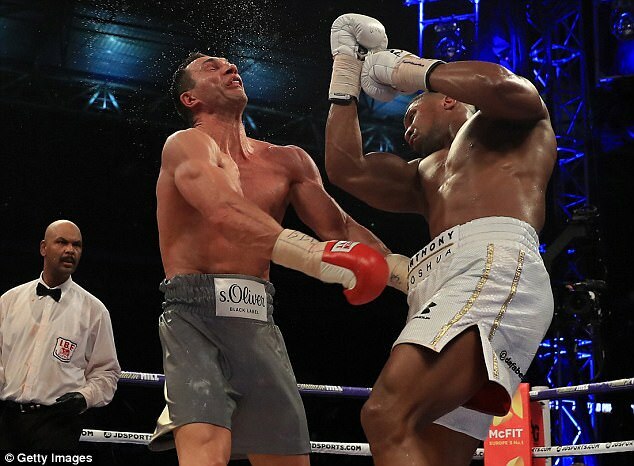 It was widely expected that Joshua would be donning gloves with Wladimir Klitschko in a highly-anticipated rematch for November 11 in Las Vegas – with the former looking to defend his IBF, WBA and IBO heavyweight belts. However, Klitschko’s sudden announcement to retire on Thursday morning has put paid to that with IBF mandatory Kubrat Pulev expected to be Joshua’s next opponent. That fight will be held either on October 28 at Cardiff’s Principality Stadium or November 11 at the new hi-tech T-Mobile Arena – the venue for Floyd Mayweather Jnr’s Las Vegas showdown with Conor McGregor on August 26. A fight across the Atlantic would be Joshua’s first outside of Great Britain in his unbeaten 19-fight professional career – a thought that excites him. 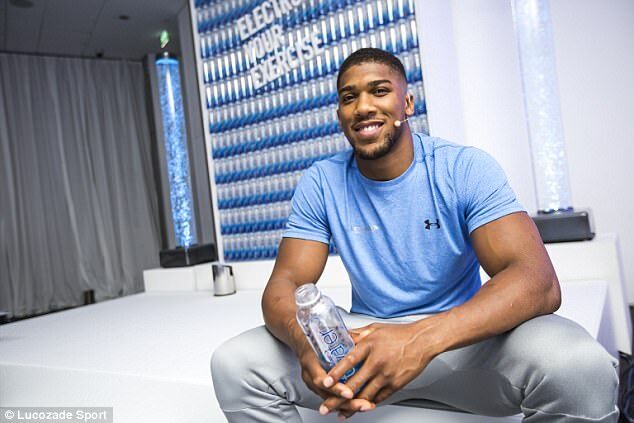 ‘The prospect of fighting Stateside is phenomenal,’ he told Sportsmail exclusively on Wednesday, prior to Klitschko’s retirement, at Lucozade Sport’s launch of their new sports product, FitWater. Klitschko’s decision to hang up the gloves will come as a blow to Joshua who was looking forward to putting on another spectacle with the former heavyweight champion. Their now one and only bout in April at Wembley was a blockbuster with Joshua’s 11th-round knockout victory heightening the clamour for a sequel, which was likely to be at the T-Mobile Arena. ‘For the USA to accept us, to welcome us and to accept that basically two foreigners are going over to America to potentially fight is great. 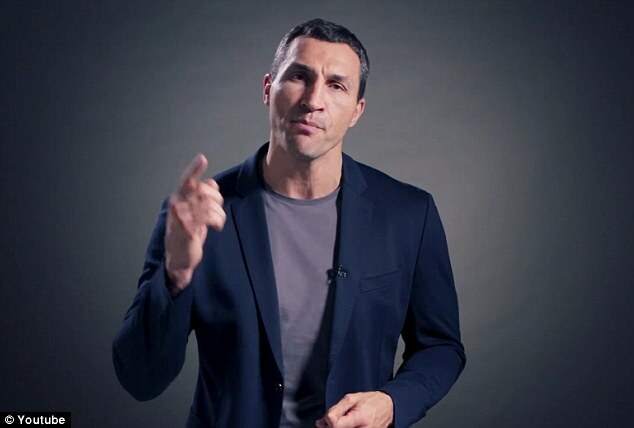 I’m all for it because Americans support Americans, Brits support Brits but for them to say “Wladimir lives in Germany and Anthony lives in the UK but we welcome them to fight in the USA,” that’s phenomenal,’ he said of that possible rematch on Wednesday. Fighting Pulev in America, as opposed to in Great Britain, will pose different challenges for Joshua with the logistics of travelling and climate change posing two in itself. Having just visited Las Vegas, where he looked at the T-Mobile Arena and set up a facility to train at Mayweather’s fabled gym, Joshua is under no illusions that he will have to adapt his preparations. This will include moving his training camp to the Nevada State six weeks prior to fight night. 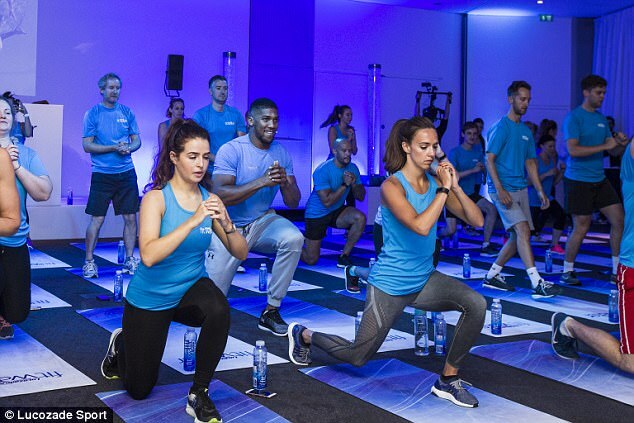 ‘How I’ll prepare differently will be based on the little things – such as keeping hydrated,’ he added. ‘Even when I’m not training, the heat out there – as it’s a desert – will mean I’ll be sweating. 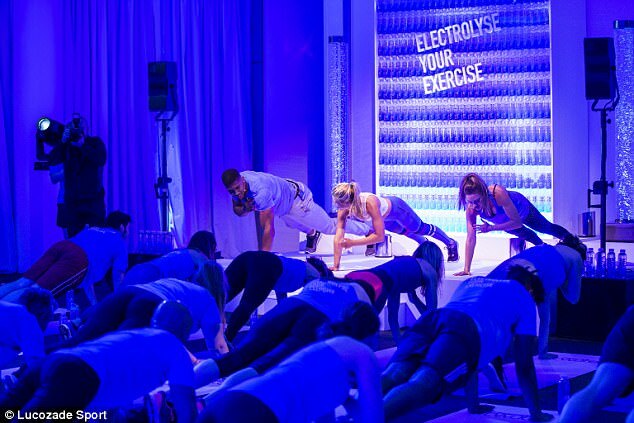 That’s why I’ve been working with Lucozade and Lucozade Sport to keep me hydrated with different energy sources. It will be approaching seven months since Joshua last fought come November 11, if it is that date, a long period of inactivity for the 2012 Olympic super-heavyweight gold medallist. 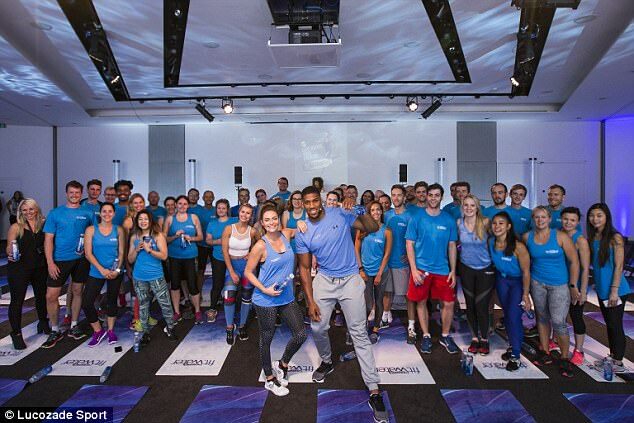 Having had to await Klitschko’s decision over whether or not to activate the rematch clause in his contract, Joshua has taken to other sports to keep himself ticking over for some variety in his training. 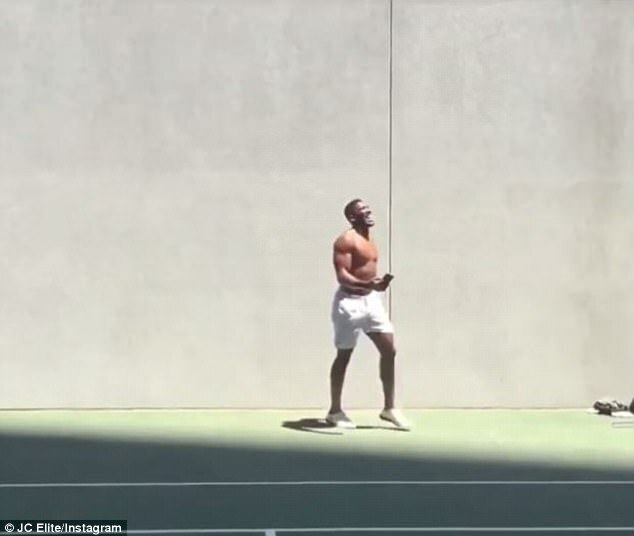 These include tennis drills, which he uploaded via his Instagram account last week. ‘It’s good to keep the main thing, the main thing – which is boxing – but it’s nice not being dictated to. ‘I’m training with a bit more relaxation and I’m just having fun with it by playing football and tennis. Joshua’s relaxed approach is something he has taken from his encounter with Klitschko. Having appeared on the brink of defeat, when knocked down for the first time in his career during the sixth round, he somehow found the will to knockout his 41-year-old opponent in devastating fashion. And looking back at those punishing 11 rounds with the Ukrainian, Joshua says he has learned to not put too much weight on his shoulders – despite being the favourite to win every time he steps into a ring. ‘I still question myself why I started boxing, it’s not easy and I definitely learned that,’ he said light-heartedly before adding seriously: ‘I do it for passion and fun though – there is no other reason as it’s hard enough as it is – because if you don’t do it for the love of it then I wouldn’t be able to compete at that level anyway. ‘I never want to lose that passion and desire to improve myself and have fun with what I’m doing. ‘I don’t see it as a complicated job or rocket science. I go to the gym, I live the mental side of my job and just have fun and enjoy my day-to-day lifestyle. With his hot hands in the ring matching his warmth outside it, the Watford-born star has become a flag-bearer of British boxing with his personality having made non-boxing fans Anthony Joshua supporters. ‘It’s not just me that’s flying the flag, there are a lot of us, but to be one those is great as it’s a real positive time for sport in general, he said humbly. 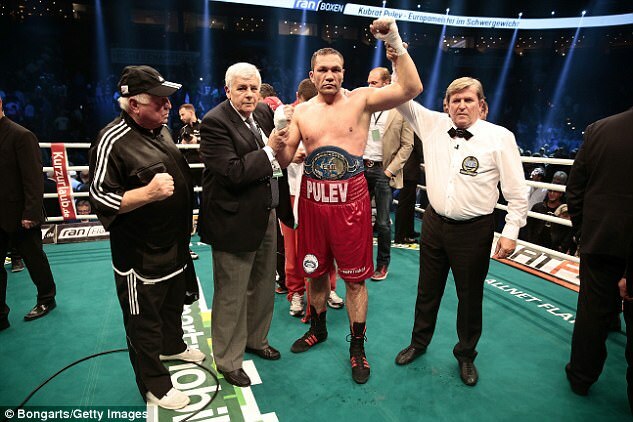 A 20th knockout win, to maintain his 100 per cent KO record, in a potential November bout with Pulev would solidify his burgeoning legacy and prove to America that they do get their bang for the buck with AJ.